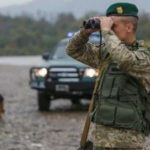 A great number of illegal migrants from Vietnam attempting to get illegally to Slovakia were detained at night by the border guards of Chop Detachment. The offenders were revealed after alarm system had been actuated. Reaction group of the BD “Onokivtsi” started to a place of possible illegal cross of the state border. The officers managed to stop the violators after overcoming the barrage fence. The detainees, being in composition of 12 men and 4 women, had no any documents and introduced themselves as the citizens of Vietnam. Illegal migrants were delivered to Border Subdivision in order to conduct filtration actions and draw up appropriate procedural documents. After their identification and establishing all circumstances they will be called to administrative responsibility. This entry was posted in Translated Media-News from Ukraine and tagged border, citizen, illegal, migrant, migrants, Slovakia, Vietnam on June 20, 2018 by oksana. A citizen of India was detained in the Boryspil Airport for bribing the border guards aiming to enter the teritory of Ukraine in illegal way. 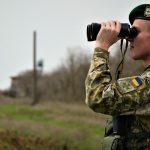 The military Prosecutor’s office (Kyiv) is performed procedural supervision in the criminal proceedings on the fact of a bribe proposal by a foreigner in the amount of 400 Euro to the officer of the State Border Guard Service that is as to the signs of the criminal offense under Part 3 Art. 369 Criminal Code of Ukraine. 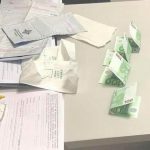 It has been established that the citizen of India tried to bribe the officers of the State Border Guard Service in the check point “Boryspil”. The foreigner offered the Senior Lieutenant an undue benefit in the amount of 400 euro for his admission to Ukraine, as he had the ban on entry into the territory of the country. The Indian citizen was detained by the policemen in the airport “Boryspil” in accordance with the Article 208 of the Criminal Procedural Code of Ukraine. Primary investigative actions are continued. This entry was posted in Translated Media-News from Ukraine and tagged border, Greece, illegal, india, migrants, Ukraine on June 20, 2018 by oksana. 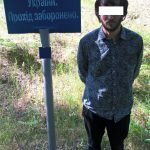 The Azerbaijani citizen, who tried to bypass the checkpoint “Maidan-Kopyschansky” to enter the territory of the Republic of Belarus, was detained last night by the border guards of the Zhytomyr Detachment. 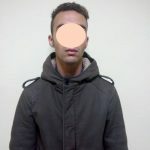 So, after procession the information received from the operational divisions of the Northern Regional Department, the border guards of BD “Kopysche” found a man, who, overcoming obstacles and ignoring the information signs, was traveling in the direction of the state border. The border detail immediately took measures to detain this person. The offender was 29-year-old citizen of Azerbaijan. In the course of further investigation it was determined that the foreigner had recently come to the territory of Ukraine and intended to get by transit to the territory of Belarus. However, the staff of the BGS of the neighboring country refused him in entry and returned to Ukraine. During his return the foreigner has been granted the right to pass through the territory of Ukraine to Azerbaijan by transit within 72 hours, but Azerbaijani has ignored this requirement. Exceeding the period of his stay on the territory of the country, the foreigner has repeatedly decided to go to Belarus, but this time in illegal way. Arriving to the village by passing transport, the foreigner walk out of the checkpoint trying to cross the border on Belarus, where, a few meters from the state line he was detained by the border guards for trying to violate the state border. Currently, the procedural documents are prepared as to the offender for his violation of the Articles 204-1 (Illegal cross or attempt to cross illegally the state border of Ukraine) and 203 (Violation of the stay rules in Ukraine and transit pass through the Ukrainian territory by the foreigners or stateless persons) of the Administrative Infringement Code of Ukraine. Also the border guards made decision on the foereigner’s ban to enter the territory of Ukraine for the period of 3 years. This entry was posted in Translated Media-News from Ukraine and tagged Azerbaijan, border, illegal, migrants, Ukraine on June 20, 2018 by oksana.